Okay so far in our talks about launching a product we've talked about a lot of stuff! I told you about my first product launch, we've talked about creating your own product, and how to create sales pages for your product. Now you need to get everything all setup and build your funnel. I’m currently going through his IM Product Launch Training. You can get it for less than $10 by going to http://www.IMWithLiz.com/IMProductLaunching Once you click the order button you’ll be brought to the checkout page. 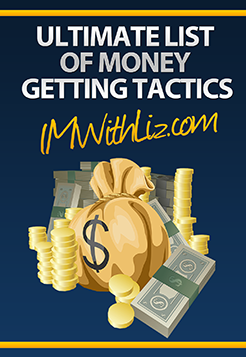 Just enter the coupon code LizSpecial and you’ll be able to get the entire course for less than $10. There are so many different options for this. I've already showed you the building of your pages, so today I want to show you how to hook those pages up using what I use which is JVZoo. In the video below I'll be showing you how to setup your sales funnel in JVZoo so that customers are taken through your funnel and delivered to all the pages in your funnel.